Tom Conti, left, talks with Paul Becks on the construction site. What could the Apollo 13 space mission have to do with the new Akron Children’s Hospital medical building? 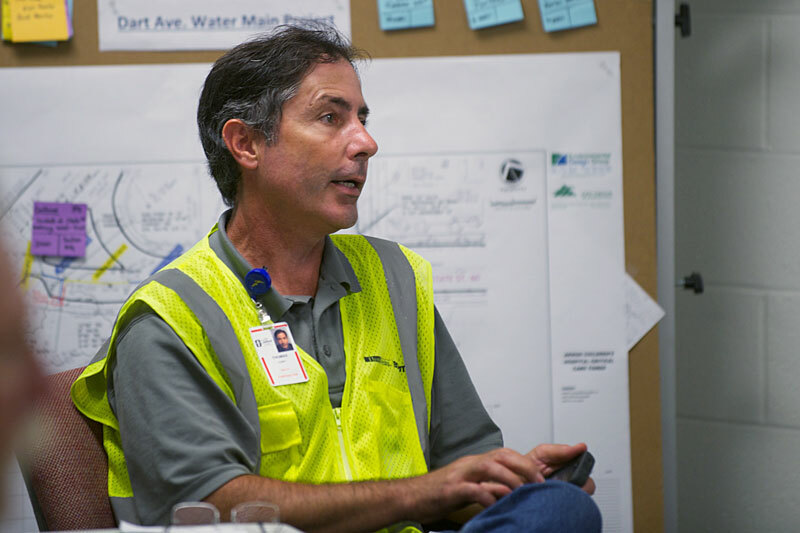 Tom Conti, Welty/Boldt project superintendent, believes that what the Apollo 13 team went through is not dissimilar to what a construction team faces: A large group of people, sometimes geographically separated, come together to solve complex problems. Apollo 13 was launched on April 11, 1970, from the Kennedy Space Center in Florida. Two days later, as it headed toward a moon landing, an oxygen tank exploded. The crew suffered from limited power, loss of cabin heat, shortage of water, and the critical need to jury-rig the carbon dioxide removal system. With the crew and ground control working together to solve the problems, the crew returned safely to Earth on April 17, 1970. Tom Conti addresses an issue during a daily huddle. Conti wants the same level of cooperation from the construction team in working efficiently through difficulties that might arise at the new building site. 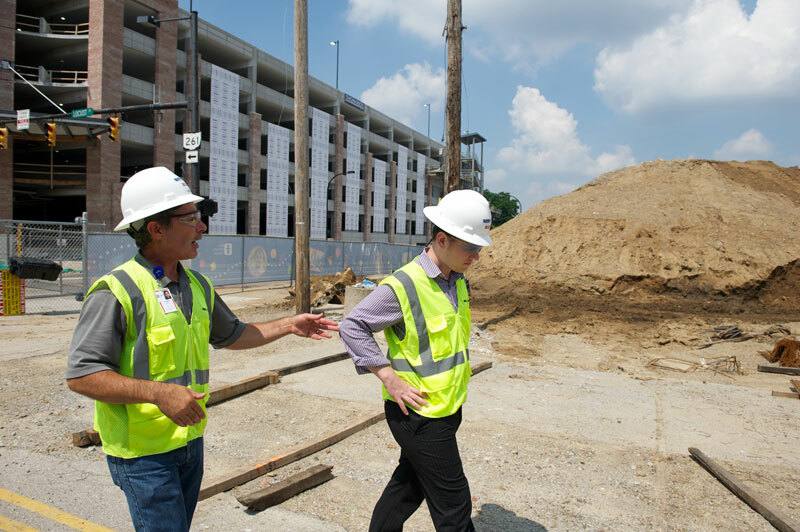 A good example is the recent storm that blew through Akron and buried some of the previous excavating work that was to be completed the following day. Other companies jumped in and helped the excavation crew “dig out” so the project could stay on schedule. “It’s about the project, not about the individual companies,” Becks said. The construction team, which comprises as many as 50 people from HKS, Hasenstab, Welty/Boldt, KLMK and trade partners, are now located together in new office space on the first floor of the new parking deck. Each team member has a desk and will be on site through the duration of the project. The members of this construction team want to be people who make things happen. As a reminder, Lovell’s quote hangs on what has become the inspirational quote wall in the office, which is open to everyone who has a saying or quote to add.